Designed for use with the #012 GAMMON REEL plumb line reel in steel frame and steel beam construction. 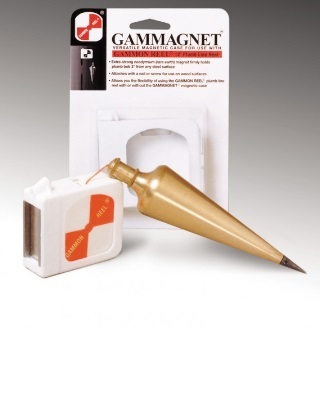 The GAMMAGNET magnetic case allows you the flexibility of using your GAMMON REEL plumb line reel by itself or enclosing it in the GAMMAGNET magnetic case as needed. Plumb line reel and plumb bob sold separately.